The maintenance area at Metro Transit in Madison. Residents gather in small groups for conversation to listen to and learn about each other’s lives, and are led by volunteer facilitators. The conversations are recorded on a “digital hearth,” pictured here, then transcribed and posted on the LVN.org website. During the conversations, facilitators also play excerpts from other groups to expose participants to new ideas. The idea is to create a unique listening channel that lifts up the voices of community members to local policymakers and the media. Madison's transportation system has been the subject of much debate between the two candidates for Madison mayor, incumbent Paul Soglin and challenger Satya Rhodes-Conway. And in recent weeks, Madison area residents have also shared their thoughts and ideas around transportation in Madison in small group discussions. A project called the Local Voices Network is collecting these conversations in an effort to include more voices as public policy is shaped. The initiative is a partnership between the Cambridge, Massachusetts' MIT Media Lab and Cortico, a nonprofit organization that works to foster constructive public conversation in the community and media. In Madison, University of Wisconsin-Madison political science professor Kathy Cramer, author of "The Politics of Resentment," is a partner in the effort. Residents gather in small groups for conversation to listen to and learn about each other’s lives, and are led by volunteer facilitators. The conversations are recorded on a “digital hearth,” then transcribed and posted on the LVN.org website. During the conversations, facilitators also play excerpts from other groups to expose participants to new ideas. The idea is to create a unique listening channel that lifts up the voices of community members to local policymakers and the media. In the course of conversation, participants are asked what issues they think are important in Madison, and how the city might go about addressing them. Transportation was frequently mentioned. “I think something that would improve Madison a great deal, or the greater area of Madison, is a better transit system. I think we need to have transit to connect to Verona, to Sun Prairie to Oregon to Milwaukee. To Chicago. Why don't we have a countywide transit system? … There's one bus line that goes out to Verona just because of Epic, and it’s only for commuter hours. But if Epic wasn't there, they wouldn't have anything. You have kids who, like Verona and Oregon, have kids who are all in kind of the Fitchburg, Allied-ish area depending on where you live. You got kids who can get to the school on a school bus, but they can't stay after for sporting events. They can't, say, get a job close to school because they have no way to get there outside of school hours. “Transportation came to mind for me. I'd like to be able to feel like I can get downtown and to the university easier. I don't live that far away but sometimes yeah, it's like, 'Okay, there's a bus once every hour. So if I go in for dinner, I've got to ...'"
Conversations in the Local Voices Network are happening across Madison. 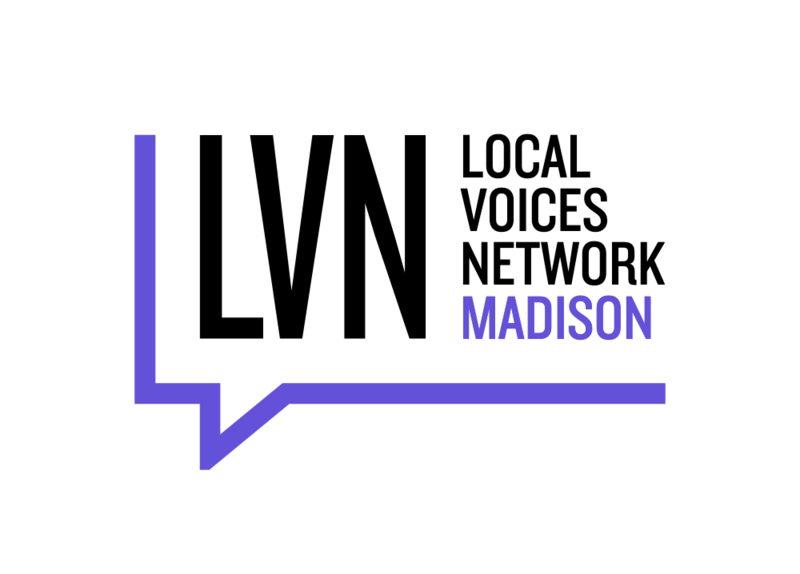 If you would like to participate in a conversation or learn how to host a conversation, please visit lvn.org/madison. Tuesday's election pits incumbent Mayor Paul Soglin against challenger — and former alder — Satya Rhodes-Conway.